Jacqueline Reyes grew up in the Pacific Northwest and moved to Seattle for college. While studying Ecology at Seattle Pacific University, she developed a deep love and passion for the outdoors. She joined the Outdoors for All team back in 2010 as a work study and a summer day camp counselor. 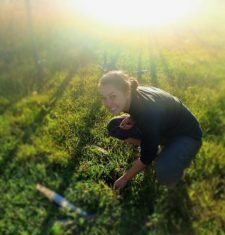 After graduating, she spent three and a half years serving as a Peace Corps volunteer in rural Paraguay and extended her service to work for WWF Paraguay. Now back from the Paraguay, Jacqueline is excited to be back in the Northwest and is ready to get outside. Jacqueline enjoys climbing, hiking, kayaking, and anything outdoors.